When it comes to pressure washers, nothing beats a gas powered model in terms of power and performance. Gas powered pressure washers get the job done, enabling you to clean the most stubborn of materials, ranging from dirt and dust to grime and mildew. If high pressure is what you are seeking, a gas pressure washer can prove the ideal choice for you, enabling you to keep the exterior of your home looking good as new. You can also use the washer for a range of other cleaning tasks, such as washing your car or even the roof of your home. 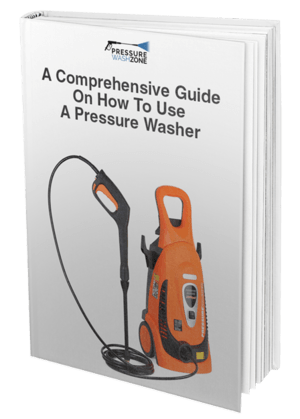 Since there are so many gas powered pressure washers on the market, selecting the right one can prove tricky. You cannot just go for the first one you find, because you cannot be certain that it will meet your requirements. Powerful Operation - This product features a Honda engine, which is about as good as it gets when it comes to pressure washers. The motor is powerful and enables the pressure to ensure water pressure of 3100 PSI. The hose will release 2.5 gallons per minute, ensuring you can take care of any filthy substances that threaten to ruin the appearance of your home or your car. The flow of the water is strong enough to toss anything you direct it on to the side. Cleaning has never been easier. Sturdy Hose - A common issue people face when using pressure washers is that the hose starts coiling or leaking. However, you can put all such concerns to bed if you are planning to invest in the MSH3125-S. The pipe features a unique lightweight design that ensures it delivers high pressure but doesn’t kink and can resist abrasion. 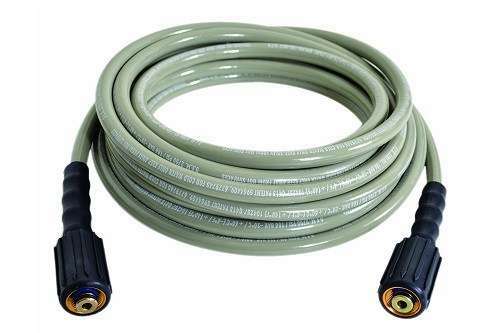 Even if you use the pressure washer for heavy-duty tasks, the hose will deliver the performance you expect. Plus, it features M22 connectors that ensure it stays in place even when jutting out water at full power. Safety Features - SIMPSON has paid special attention to safety when designing this pressure washer. The spray gun features a lockout system that turns off the hose in case you lose control. This ensures safety for not only you but for anyone who is around you at the time you are using the pressure washer. In addition, the frame is made from welded steel, which adds to the sturdiness of the unit, ensuring it will not tip over even if you are using the washer at full blast. Range of Nozzles - You can choose a nozzle according to your requirements. There are 5 standard nozzle options, ranging from 0 degrees to soap, enabling you to adjust the flow and angle of the stream of water as per your needs. You can conveniently change the nozzles to complete any cleaning task. This makes this pressure washer incredibly versatile as you can adjust the nozzle to clean virtually any surface. Clean Any Surface - As mentioned, the nozzle design makes it easy for you to adjust the flow of water for cleaning any surface. SIMPSON has designed this unit to cover all your cleaning needs, which means that you can use it on marble, tiles, wood, and concrete. This handy product will allow you to clean practically any part of your home, indoors or outdoors. From your roof to the patio furniture, you can rely on this product to deliver the goods. The MSH3125-S has received an average rating of 4.4 stars out of 5 on Amazon. This means a significant majority of the reviews are highly positive and that most of the customers who purchased this product were pleased with the results. A customer wrote that this pressure washer has made cleaning incredibly simple to the point where he actually enjoys the chore. The customer stated that it is a real pleasure seeing dirt and other debris just flying off as soon as the water hits, making cleaning any surface a breeze. A customer was also pleased with the gas consumption of the pressure washer. He stated the machine operated for around 3 hours on a full tank and he was able to use it constantly with just a 10-minute rest in between. This shows that this pressure washer is not just high performing but can also sustain its performance for an extended period. 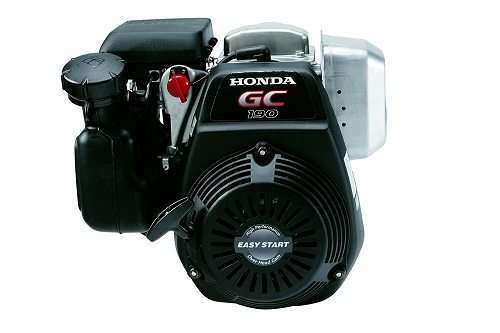 Several customers praised the Honda engine for the power it generates, and another customer stated that the pressure washer is incredibly easy to set up and use. It won’t be wrong to say that this unit could use some improvements but all in all, it delivers the results you would expect. You can purchase the MSH3125-S from SIMPSON for just under $400 on Amazon. 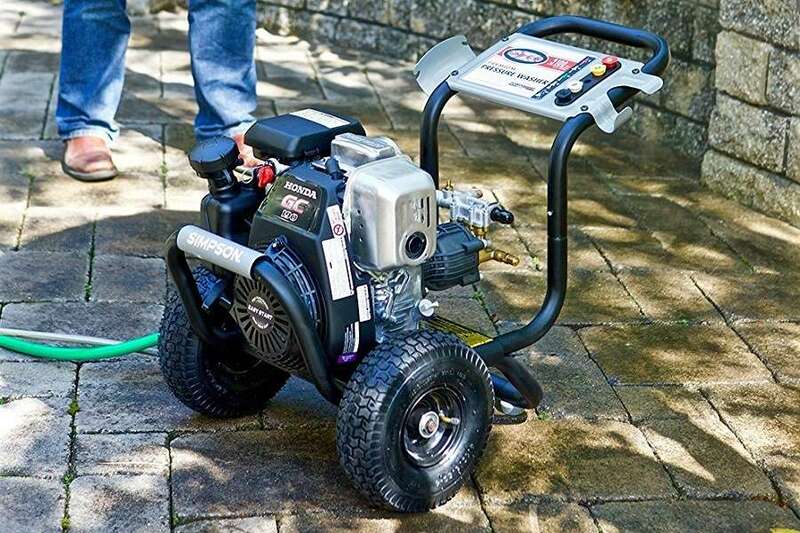 This is one of the pricier gas powered pressure washers, so you would be well advised to look for deals and discounts that will help you economize your purchase. If you purchase a safety cover with the pressure washer, it will cost you under $420. All in all, it is rather difficult to find any reason to not recommend the SIMPSON Cleaning MSH3125-S. It is definitely one of the better gas powered pressure washers on the market and definitely worth considering, i.e. if you can afford the hefty price tag.